Chair in the Shade: Steel Cut Oatmeal for the Win! Here's a confession for you. I'm horrible about eating breakfast. Since I work afternoons, I usually get up at 8, drink a couple cups of coffee, maybe eat a piece of toast. That's about it. But you're always hearing about how breakfast is the most important meal of the day, essential, vital, blah, blah, blah. So I thought I should at least try to eat breakfast. And I always see those pins on Pinterest for overnight oatmeal so I figured what the heck, I'd give it a try. 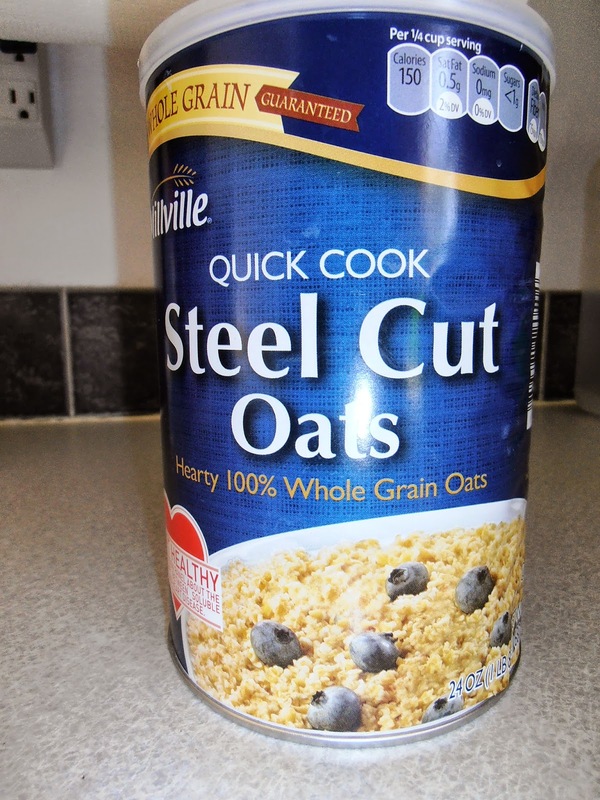 First, I got some steel cut oats. You can get lots of fancy kinds, but I just picked up a canister at Aldi's for a couple bucks. 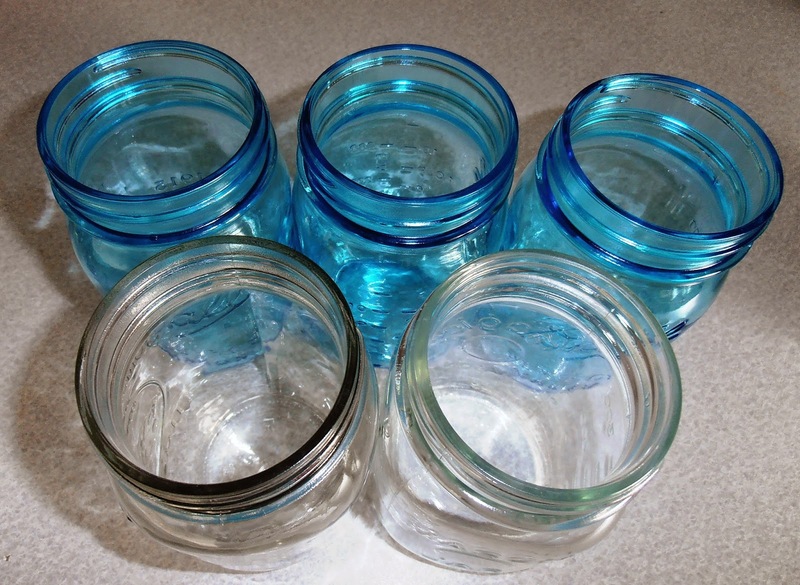 Then I gathered up some pint mason jars, because that's what I always see them in on Pinterest, but I think you could use any microwave safe container. I also pulled out some toppings for my oatmeal. 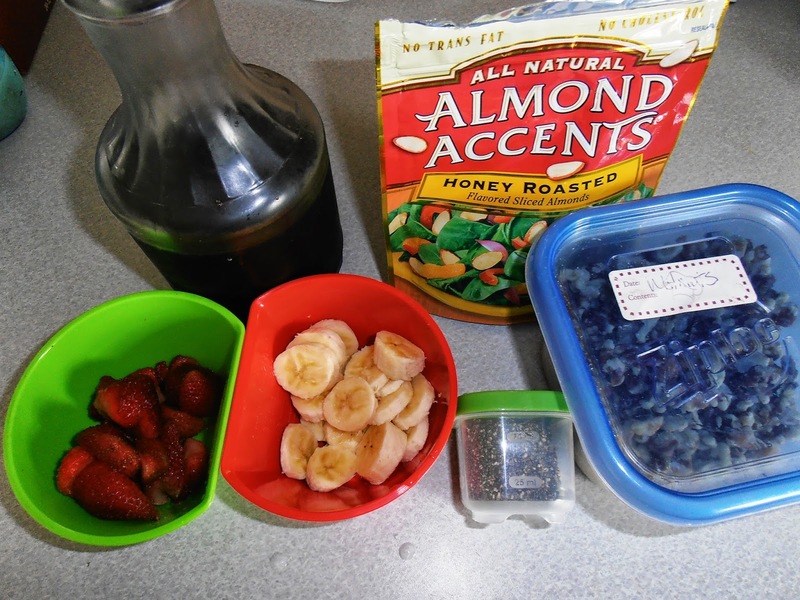 You can use pretty much anything you like, but I tend to stick with berries and nuts with a little pure maple syrup. 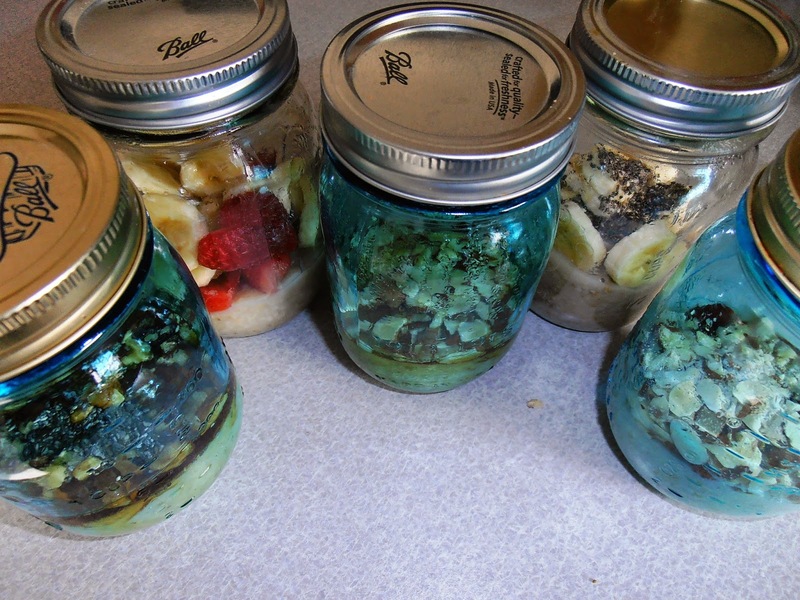 Maple sugar, strawberries, bananas, chia seeds, almonds, and walnuts. Next, cook you oats. I used 1 cup steel cut oats, 3 cups of water and mixed them together, put them on the stove top and once it started boiling, cooked for three more minutes. 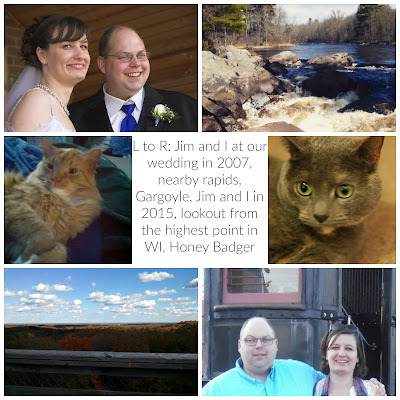 (The oatmeal is not going to be done at this point, don't fret we'll cook it more later.) Remove from heat, give it a few minutes to chill a little, and then pour into your jars. Note: Wide mouth jars would be a better choice if you have an option, but I only have small mouth jars and it's doable. It's going to look pretty soupy, but trust me, it will thicken up. Then, add your toppings on top, add lids and rings and let it sit on your counter until cool. Then pop in your refrigerator and you have breakfast for the next five days, just pull one out in the morning, remove metal lid and ring, pop it in the microwave for one and half to two minutes, grab a spoon, and you're ready to go. I was kind of leary about warmed up oatmeal, thinking it would taste like mush. (Picture Oliver Twist asking for another bowl of porridge.) But steel cut oats really hold up well. Fruit gets a little mushy after microwaving, so if you prefer, you can definitely add you fruit the next day. I've made it twice now, and adding a variety of toppings keeps me from getting tired of eating oatmeal every morning.